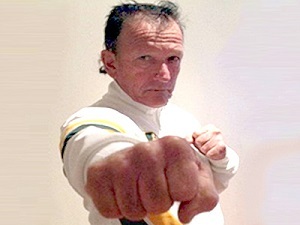 The West Australian branch was established in 1985 under Hanshi Carl Marriott 8th Dan, who was the Chief Instructor until his passing in May 2014. KUA WA is now under the direction of Hanshi Carl Marriotts three children, Chief instructor Todd Marriott 5th Dan, Sensei Kim Benn 3rd Dan and Sensei Karie Morton 2nd Dan. The dojo continues to operate successfully from Fremantle PCYC in Hilton which has always been the Honbu dojo. 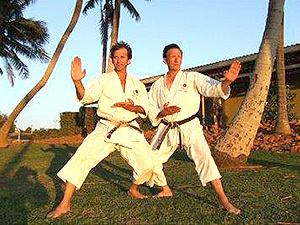 The Marriott children continue to teach and train with the same passion and spirit that was instilled into them through their father by teaching traditional Shotokan karate to students of all ages and levels. At the honbu dojo we have a number of very experienced and long term instructors who train regularly and we always welcome new members. 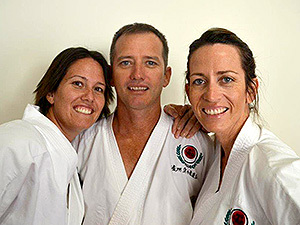 Family focus is very important to KUA WA we have many parents and their children training along side each other. We also offer female only classes with a Female instructor. By training with the Marriott's you will enjoy some inspirational training sessions and if you or your child desires to take your training to competition level you have chosen the right club, as all three of the Marriott children have successfully represented West Australia and Australia, winning medals in all of these levels. 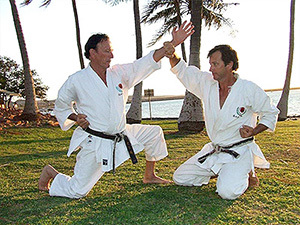 We are focused on teaching and promoting traditional and sport karate. Available on enquiry, family discounts available. 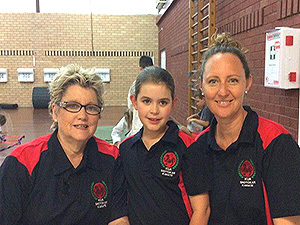 We are members of the Australian Karate Federation which is registered and recognised by the Ministry of Sport and Recreation. Instructors have working with children clearance.